Welcome to the Millennial Homemakers! Food is only one piece of the puzzle when you’re hosting a holiday dinner. 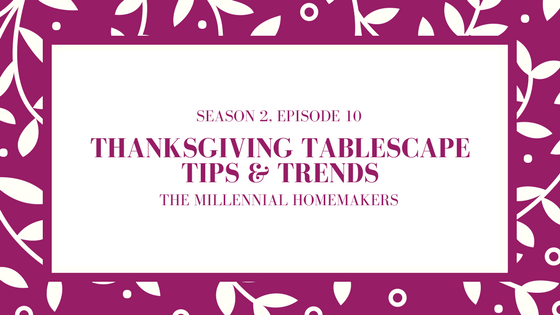 On this episode, we discuss some tips and tricks for creating a gorgeous tablescape for Thanksgiving or your next dinner party! Check out our Tablescape Pinterest Board!